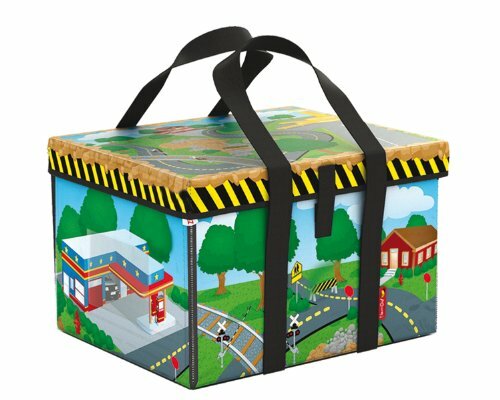 This small activity center works well for cars, trucks, planes, trains and construction equipment. A special feature is the parking lot for storing lots of small cars under the lid. Sized for small animals, pocket dolls, small cars and big imaginations. Bin is 12.5 x 10.3 x 7 inches. Mat is 26 x 23 inches.